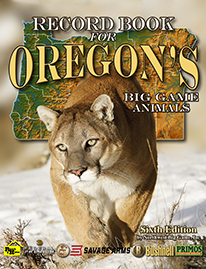 Record Book for Oregon's Big Game Animals - Sixth Edition. We are very excited about the new 6th Edition of the Record Book for Oregon! 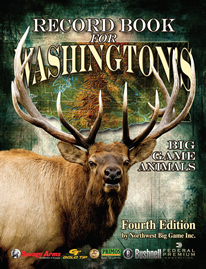 Record Book for Washington's Big Game Animals - Fourth Edition. We are very excited about the new 4th Edition of the Record Book for Washington! Check Out These Books As Well! "Blacktail Legends of the Pacific Northwest"
Look for us in your area as we travel throughout the Northwest displaying many of the top trophy animals from Oregon, Washington, Idaho, and Montana! Our 2019 Tour may be coming to your town soon, so get those trophies out and bring them to our show to be measured.